After many years of yo-yo dieting, some severely obese people are turning to weight-loss surgery to help deal with health issues such as type-2 diabetes (DM2). Studies have concluded that bariatric (weight loss) surgery is a successful way to treat DM2 in the obese population, however only a few studies have examined whether bariatric surgery can prevent DM2. Recently a UK research team reviewed the health records of over 4000 individuals who were obese (body mass index (BMI) > 30) to see if people who underwent bariatric surgery had a reduced incidence of DM2 compared to similar individuals who did not receive surgical intervention. They found an 80% relative reduction in the incidence of DM2 in those that underwent bariatric surgery and were followed for up to seven years following their surgery. Although this headline might suggest that surgery is a potential miracle cure for DM2 in the obese population, this was a retrospective study and researchers could therefore not determine what other types of weight loss or diet intervention the surgery patients may have underwent to help them avoid developing DM2. Surgery patients were also provided with additional multidisciplinary care such as dieticians, nurses, and specialists whereas the care of those that did not undergo surgery, didn’t even meet minimum standards of care (the majority had no records of blood pressure or cholesterol monitoring). 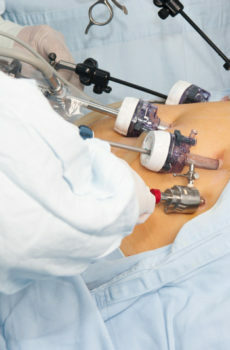 Some weight-loss surgeries are restrictive in that they reduce calorie intake by reducing stomach size. Others are restrictive and bypass the stomach, which cause changes in hormones and food malabsorption (this study included both types). The downside of surgery is that hormonal changes and food malabsorption also result in nutrient malabsorption. Patients therefore often end up needing lifelong supplementation of vitamins and minerals such as folate, B12, Vitamin D, iron and calcium. All surgeries come with a risk of complications. The decision to have weight-loss surgery should only be made after trying to lose weight through daily exercise and healthy eating. Patients who successfully lost weight after surgery had a team of professionals to guide them through the required dietary changes. Our suggestion would be to invest in this type of professional help before choosing a more radical choice such as surgery.